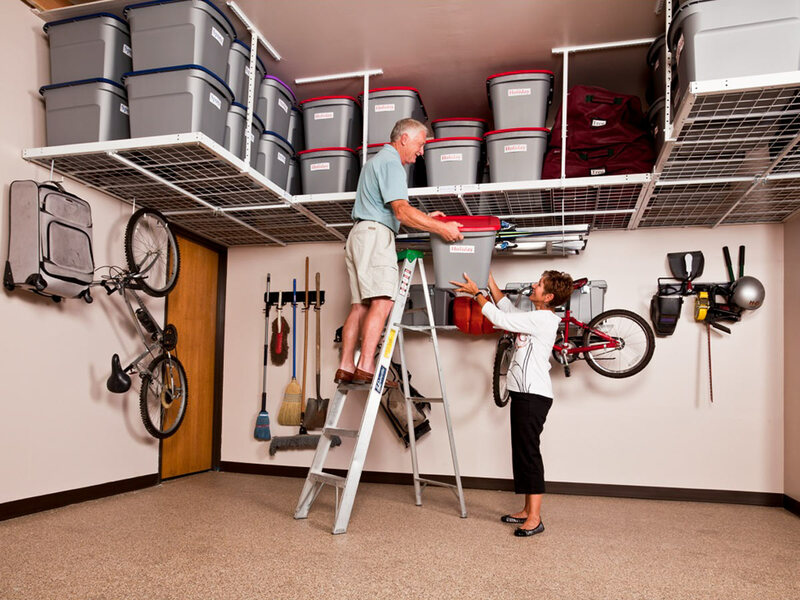 Slide-Lok is well known for garage storage products, and our overhead garage storage systems are a testament to that. 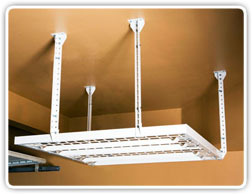 Made from a strong and durable steel alloy our overhead racks are rated to support up to 300 to 1000lbs depending on the model you choose. 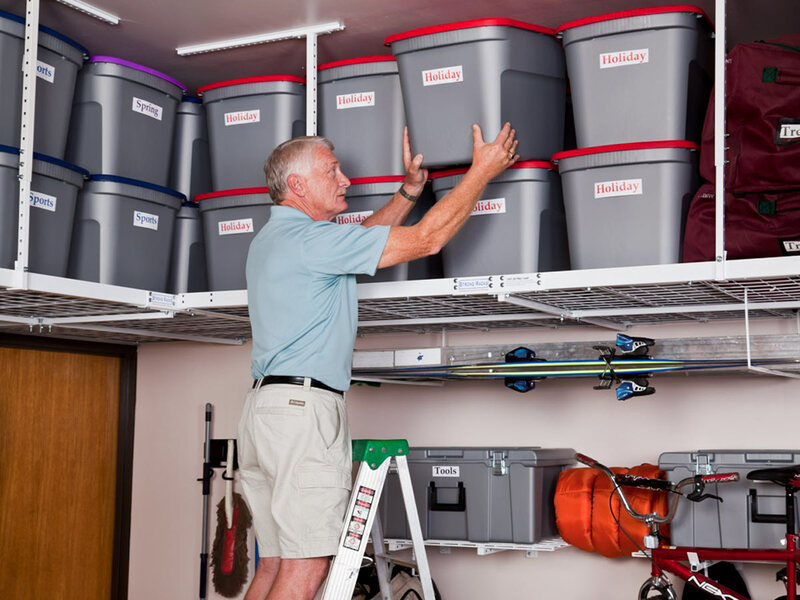 The height of our storage racks is adjustable and will fit any storage need without obstructing the operation of your garage door. Modular in design, Slide-Lok's Overhead Storage allows you to buy one unit or multiple units to suit your storage needs. It's time to start utilizing space that you never knew you had. 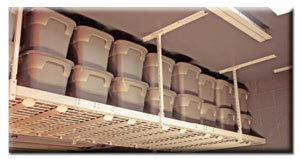 Slide-Lok is proud to offer both the 4'x4' and the 8'x4' Super Pro ceiling storage units. Ask your authorized Slide-Lok dealer for more information. Two sizes available: 48"x48" & 96"x48"
Slide-Lok Platforms are capable of holding a higher volume of Storage than any individual Overhead Rack product. They come in sizes from 4'x10' to 4'x50' or larger! The maximum weight capacity of the Overhead Platform corresponds to the size of the platform; as the size of the platform increases, so dose the maximum allowable weight of the storage to be placed on the unit. 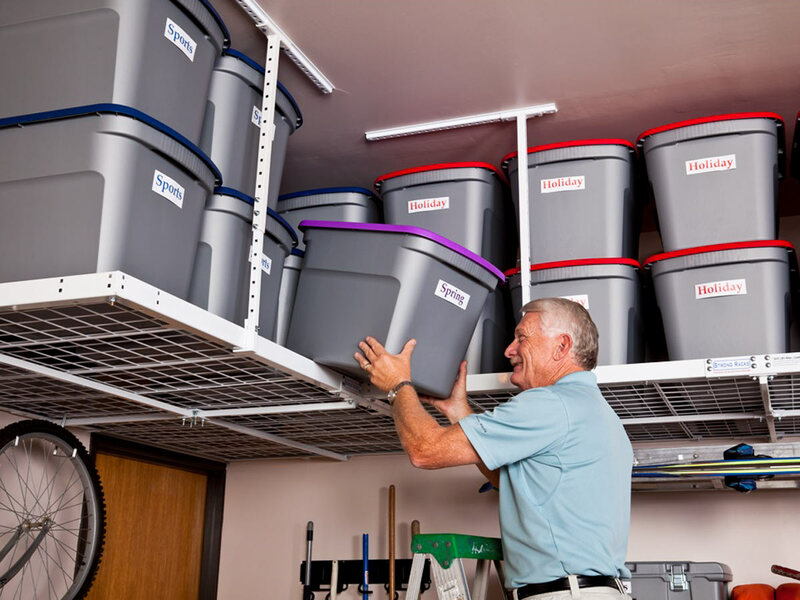 Slide-Lok's Overhead Platforms are an excellent storage solution for any home owner that has an abundance of boxes, bins, or any other large, cumbersome items that they desire to place into storage. 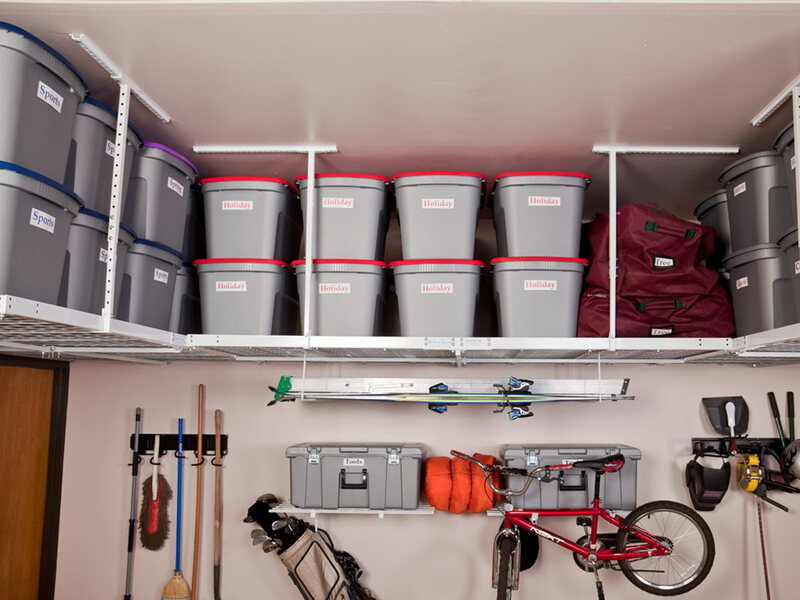 These Overhead Platforms make organizing the garage a simple task by utilizing the untapped potential of available garage ceiling storage space.